Creating a statement is usually the first thing on anyone’s mind when planning and designing an event. One easy way to do this is to make your furniture stand out. 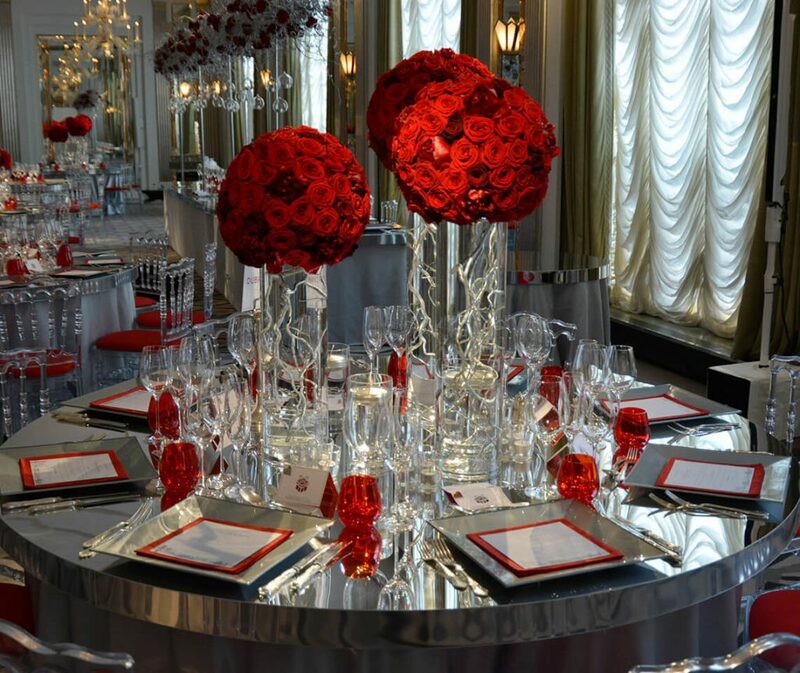 Whether you have an entire marquee to fill, or you require one showstopping piece to finish off a room, using mirrored furniture is a sure fire way to grab your guest’s attention. Mirrored furniture has been a speciality of ours for many years now. 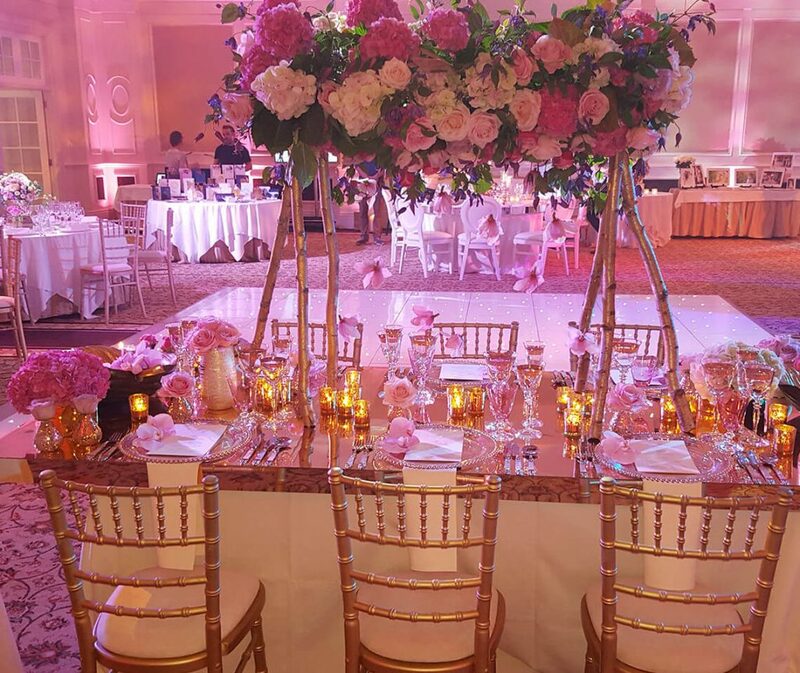 In particular, we provide mirrored dance floors, bars, poseur tables and dining table tops that are made-to-order just for your event. Our workshop team will use new acrylic mirror for every order, as this ensures a top quality finish every time. 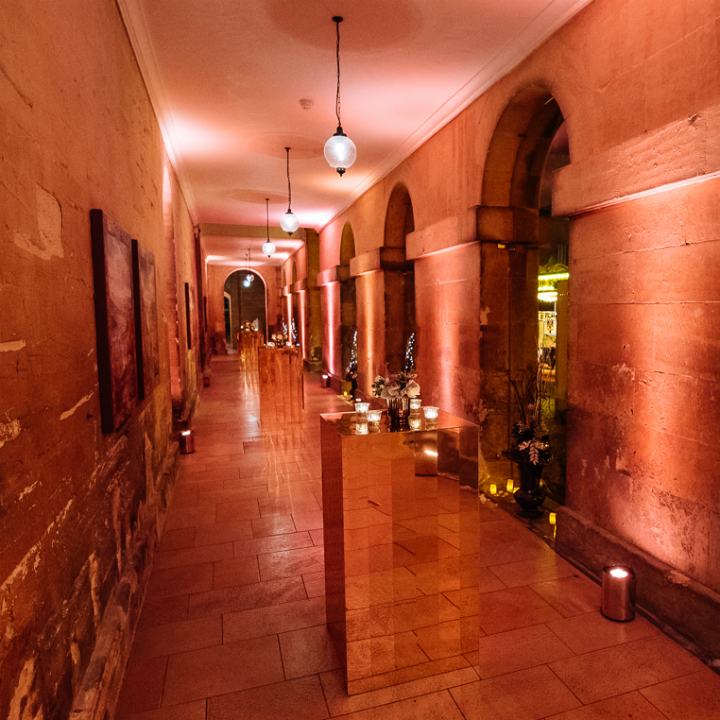 Using a mirrored bar or dance floor is a killer way to draw people’s attention to the centre of your event space. 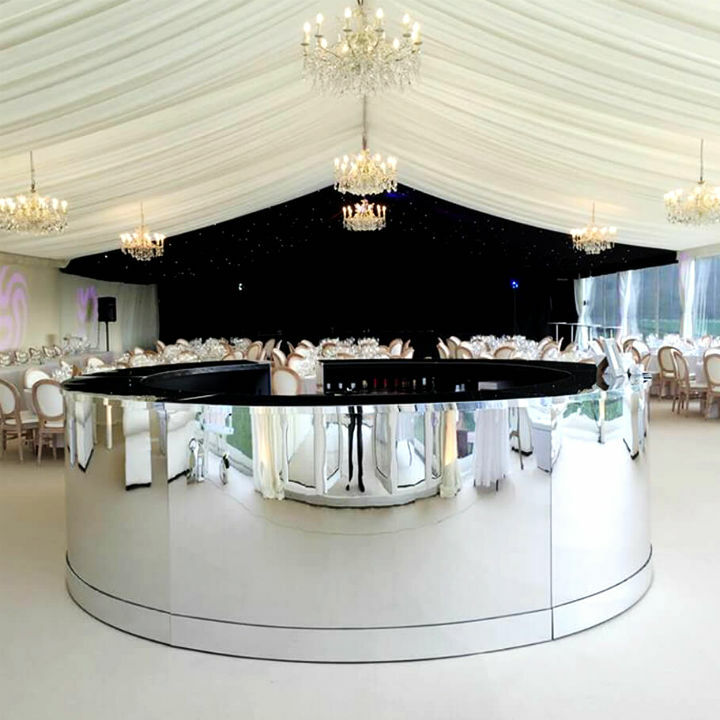 For example, having a circular mirrored bar in the centre of your marquee is a great way to separate your dinner and dancing space. 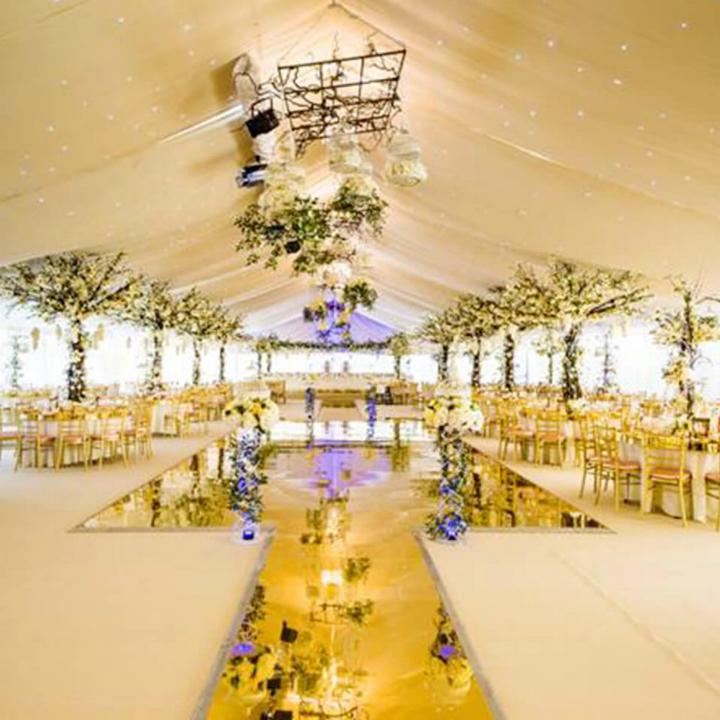 Alternatively, if you have a live band or would like your guests to stay seated to watch your first dance, then centre your room around a mirrored dance floor instead. 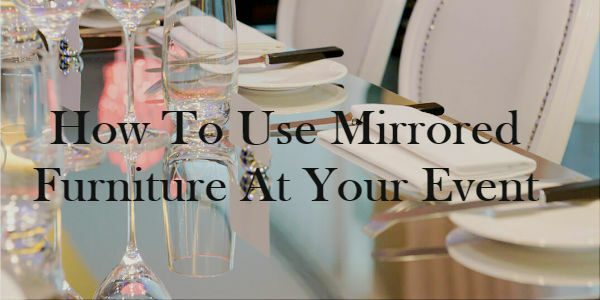 Any interior or event designer will tell you just how useful mirrors are when creating the illusion of space. Straight silver mirror bars are a clever way to reflect the room and make it look wider, whilst mirrored poseur tables will stop a narrow space from looking crowded. 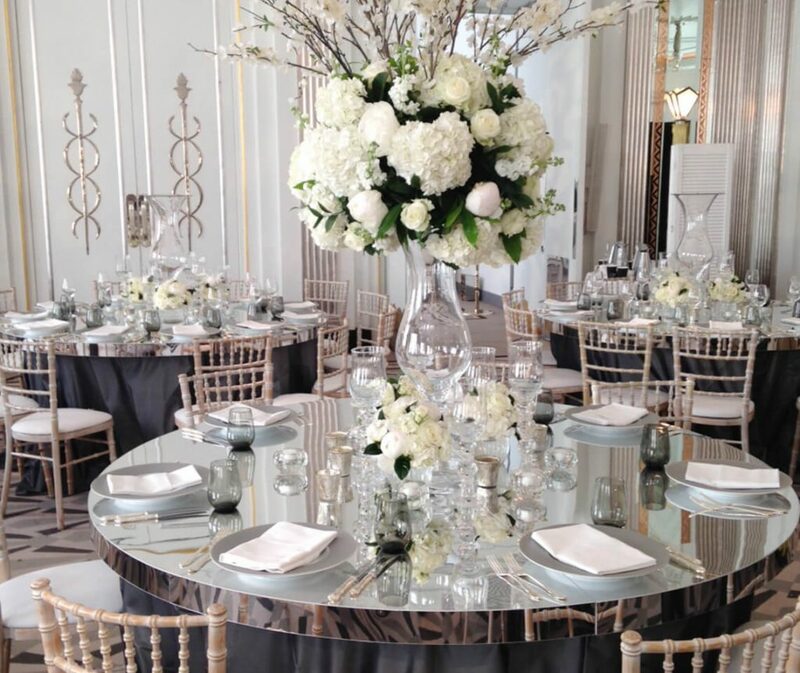 For a tablescape that your guests will always remember – use our mirrored silver or gold table tops. 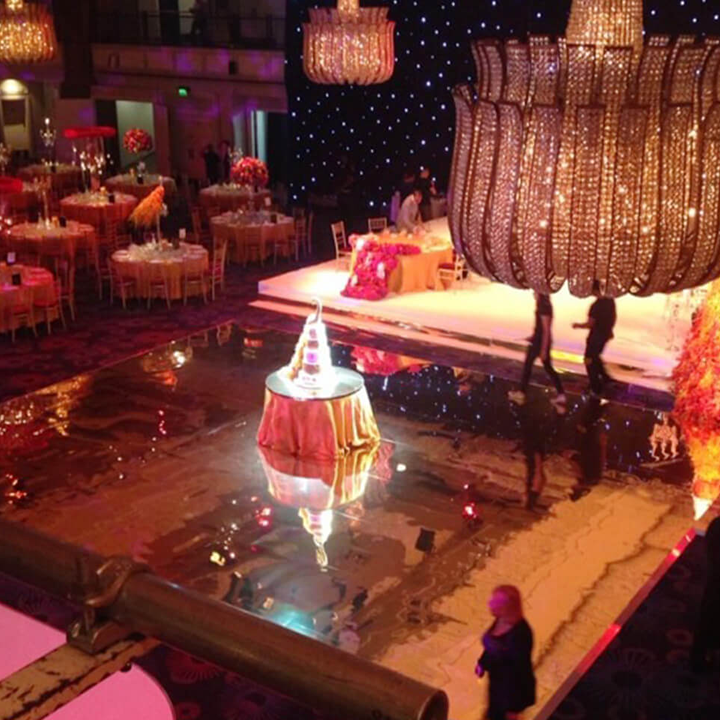 Mirror tables also amplify the light within the room, as well as any candles or LED table centres placed on the table tops. 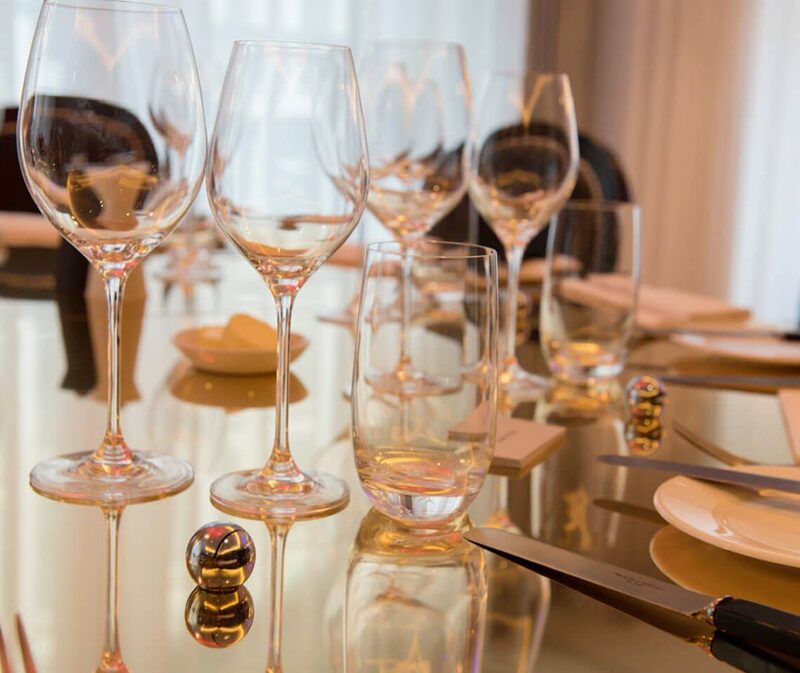 Not to mention the beautiful reflections you will see when the glassware and floral decor are added to the table! Available in a round, square or rectangular table format to suit your layout. 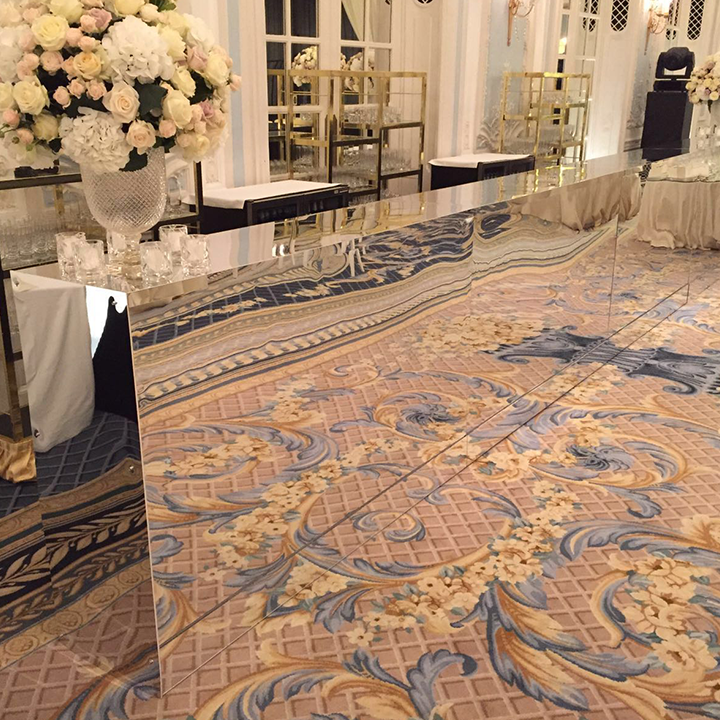 Talk to us about using mirrored furniture at your party, wedding or event!